We made Nigel’s recipe for dinner a few weeks ago. The anchovies thankfully disintegrate into the dish and can’t be seen. 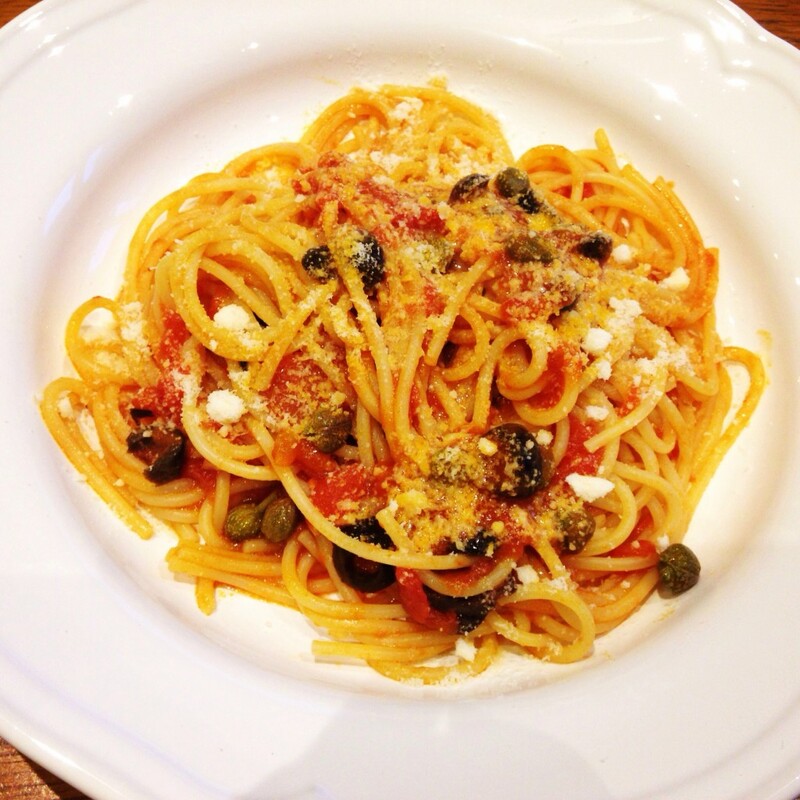 Olives, capers and dried chilli flakes make the pasta sauce bold and fantastic. I still can’t stand slimy anchovies but this recipe is truly incredible and must be shared. 1. Cook the spaghetti in a pot of salted, boiling water as per packet instructions. 2. Cook the garlic, dried chilli and chopped anchovies in olive oil for a couple of minutes until the anchovies start to disintegrate. This is strangely fun to watch! 2. Once the anchovies have disintegrated (hooray), add the chopped tomatoes and cook for 15 minutes. 3. Stir in the olives and capers and cook for another couple of minutes. Puttanesca is a bold and salty sauce thanks to the combination of anchovies, capers and olives.